We all love our parents, but there is a special bond between a girl and her father that cannot be underestimated. 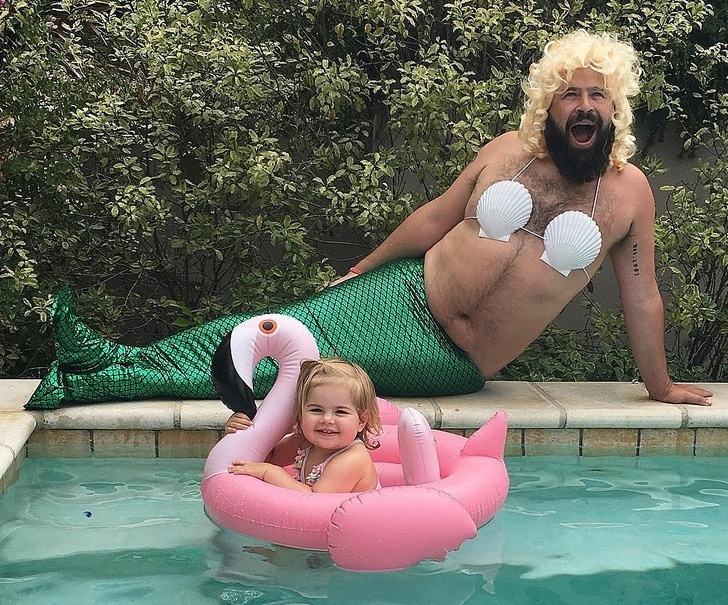 The following pictures prove that dads have the best humor and would also do anything for their daughters and their sons too. 25. 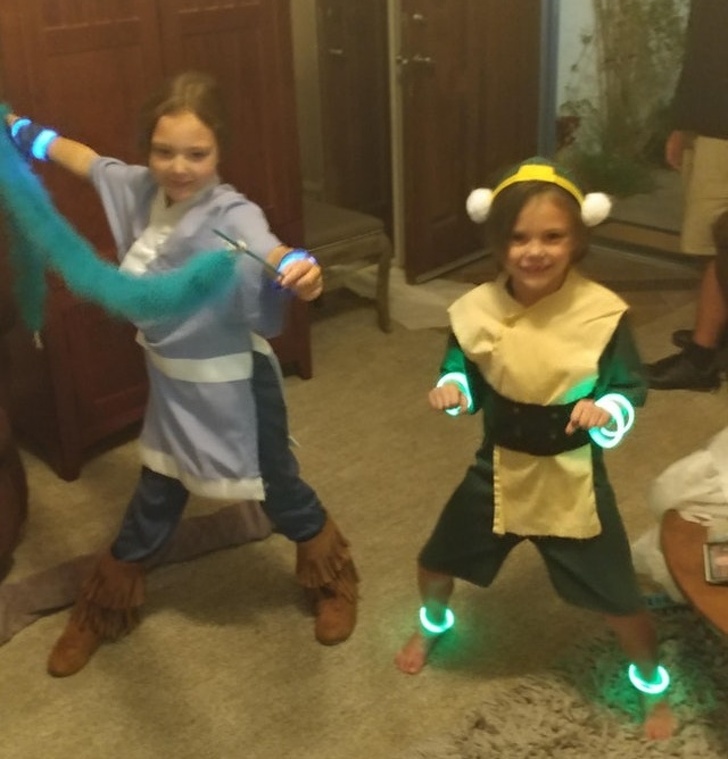 This dad was spending his first Halloween as a single man, and his girls wanted hand-sewn costumes. 24. 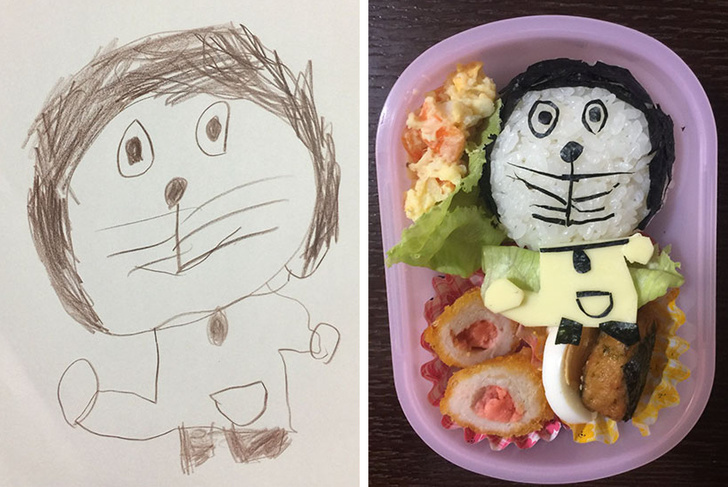 This creative father makes look lunchboxes based on his children's drawings. We bet those kids eat everything on their plates. 22. 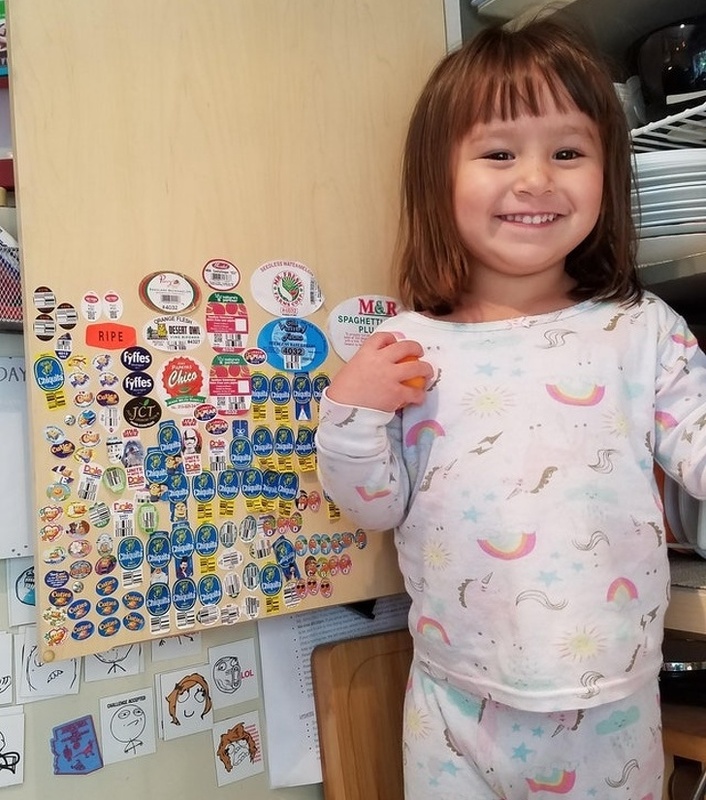 This father found a creative way of getting his daughter to eat all her veggies. She can add the brand sticker from to their board. 21. 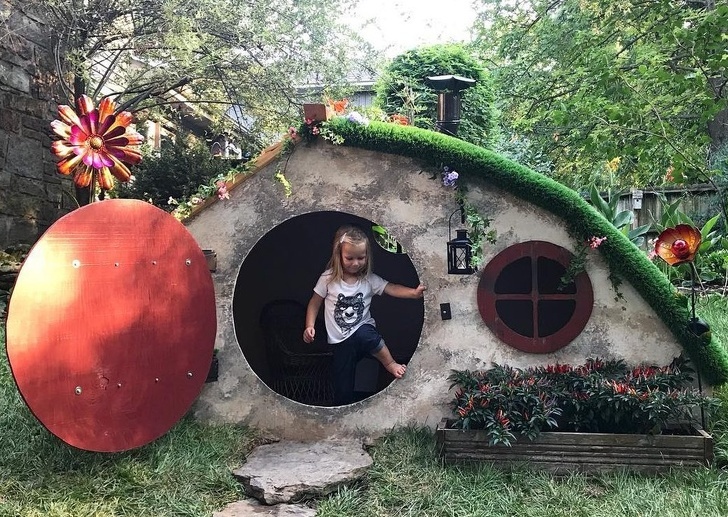 This little girl has her own Hobbit house courtesy of her father. We cannot believe how accurate it looks. Better than most treehouses. 19. 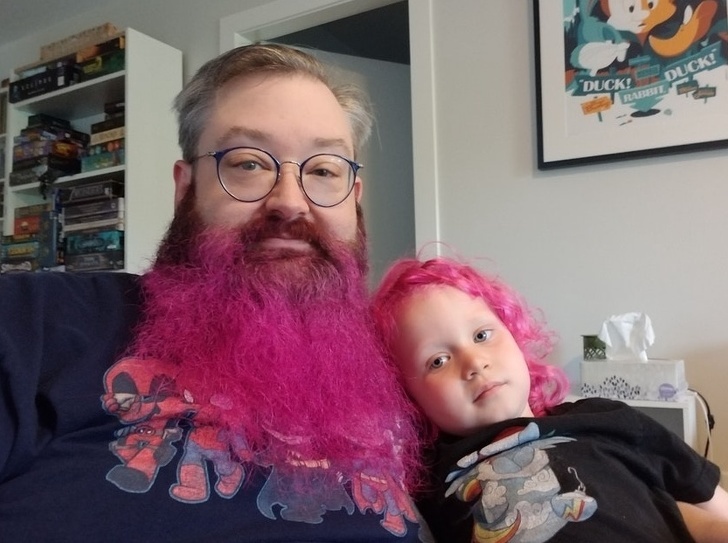 This dad dyed his beard pink because his daughter chose that color. This is one of the coolest things ever. 18. “Last weekend, 3 generations of my family competed in a 206-mile race. My grandpa is 82, my dad is 52, and I’m 22.” They definitely look younger! 17. 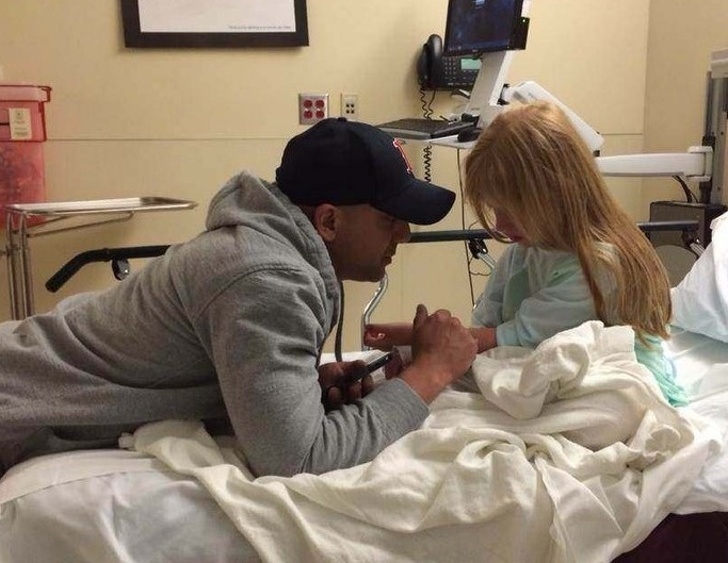 “My daughter was nervous about having an IV put in. My boyfriend (an army medic) sat and showed her exactly how it would work and said he’d have one put in too.” He might not be her dad, but he is still the best dad figure. 16. 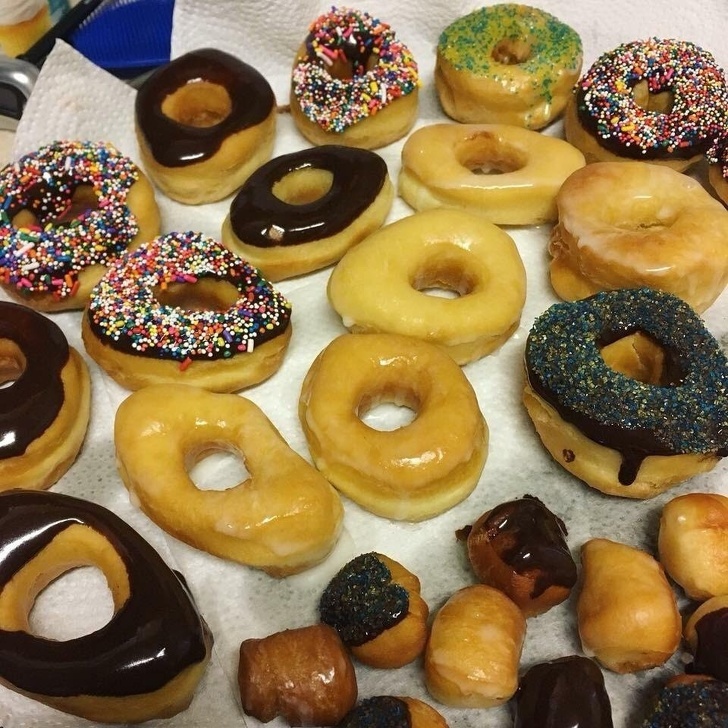 This dad took some donuts to his daughter's class, and everyone said it was better than store-bought. 15. 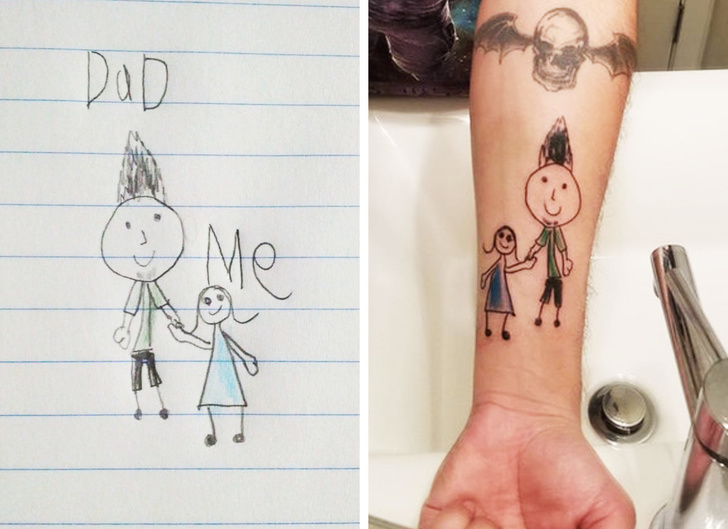 Here is another dad that take inspiration from his child's drawings. It is a memory that will be remembered forever. 14. This dad kept his hand in place for almost an hour just so his daughter could sleep comfortably on the plane. 13. 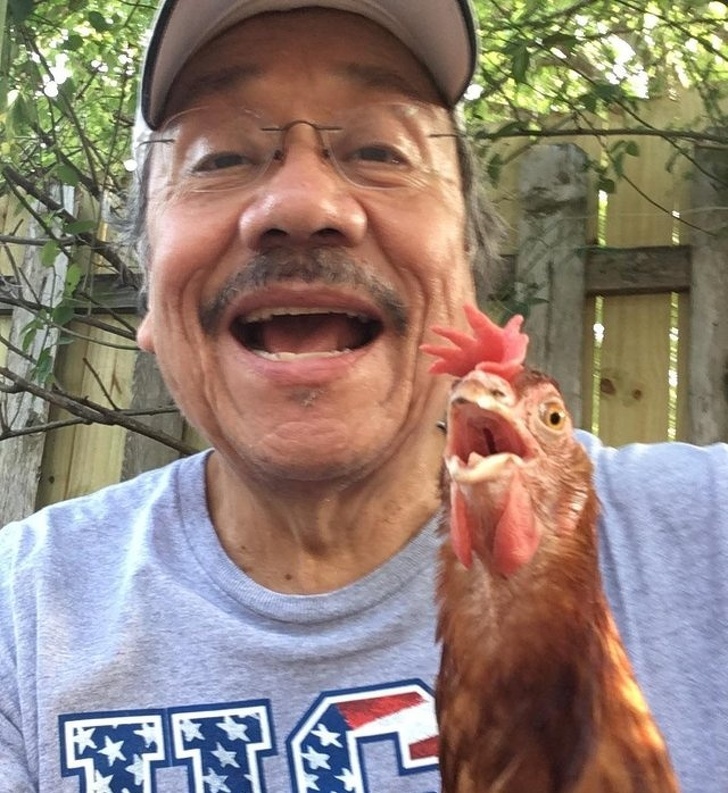 A kid received this cool selfie from her father, and it is probably the best one in the world. We love that rooster. 12. 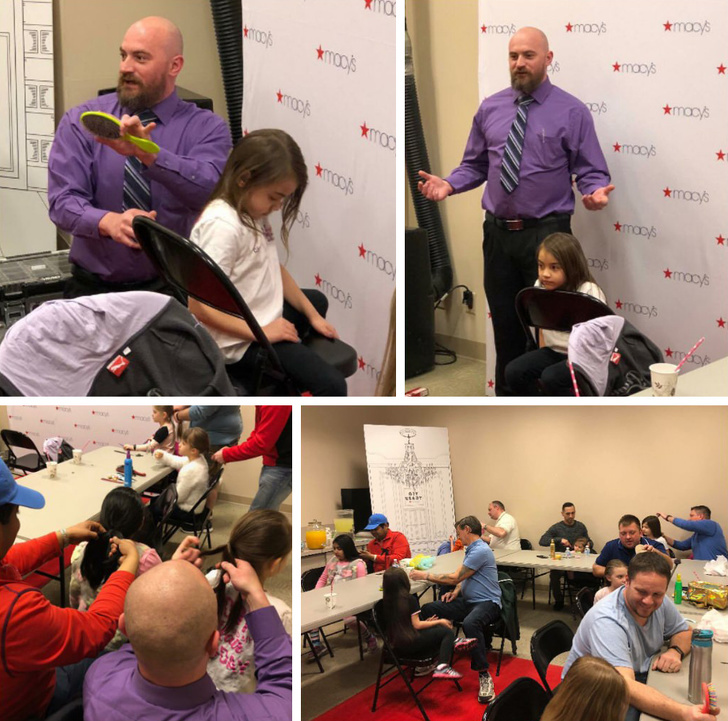 This community offers classes for fathers who wish to learn how to style their daughters' hair. 11. 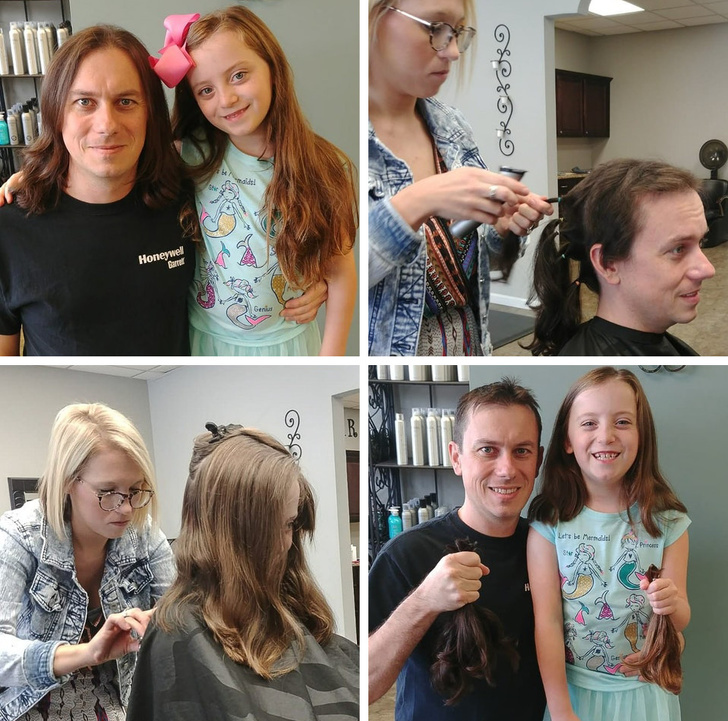 “I promised my daughter I’d donate my hair with her. It took 2 years but it was worth it!” They bonded and learned about giving to the less fortunate. 10. 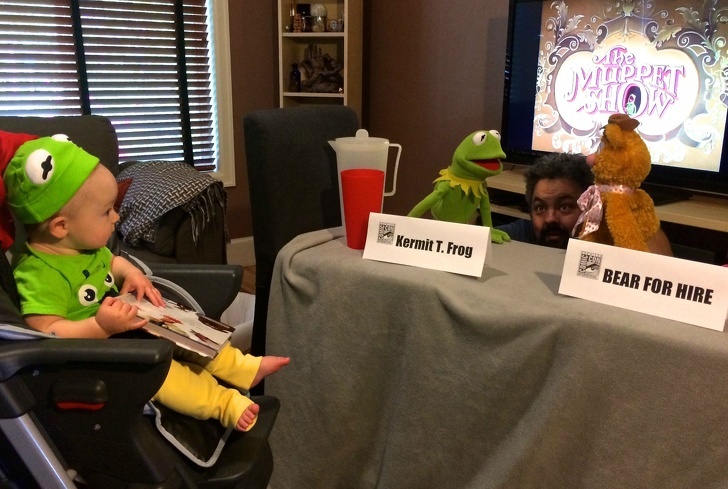 “She’s too young for Comicon, so my little girl and I had a Comicon at home, where she got front row seats at a panel featuring her favorites!” This dad cannot wait for her to grow up! 9. 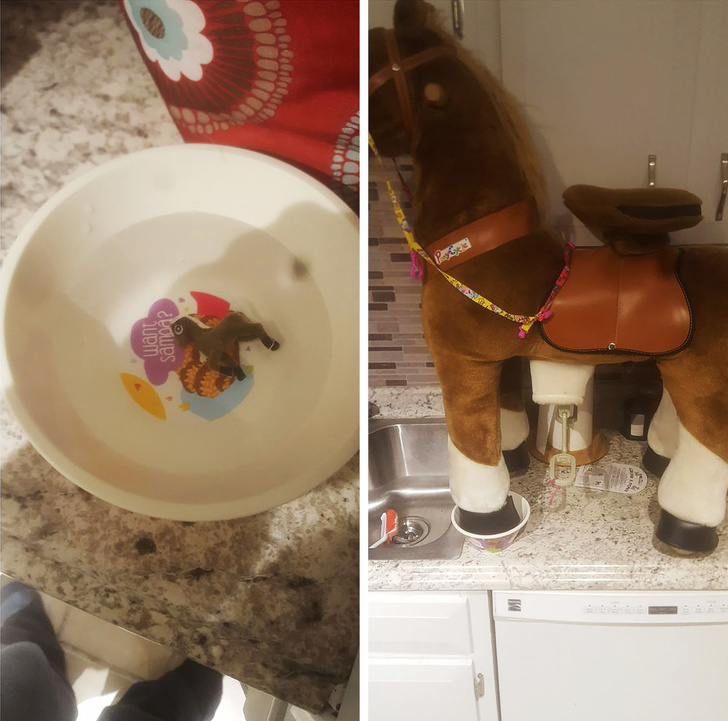 A little girl placed a grow-a-pony in water, so her father exchanged it for a stuff one. Such a sweet gesture! 8. 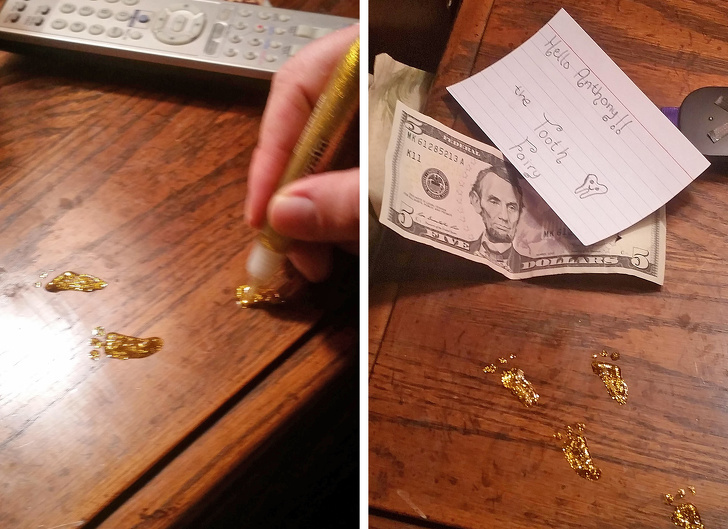 This man's kid did not believe in the Tooth Fairy; so he went out of his way. 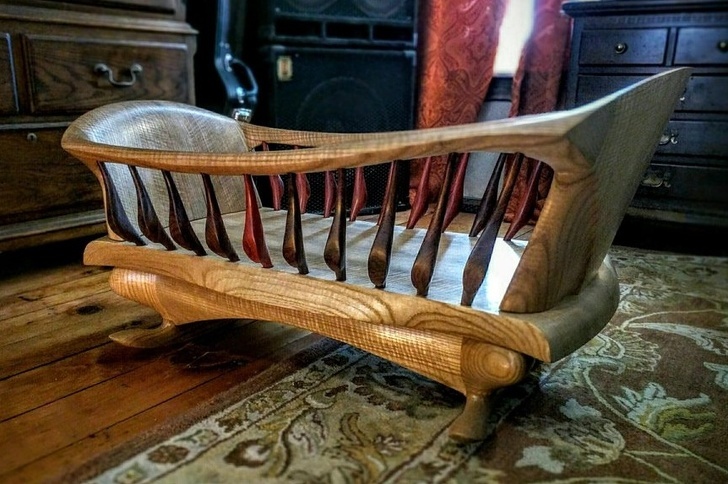 This is really creative. We wonder if the kid changed his mind. 7. 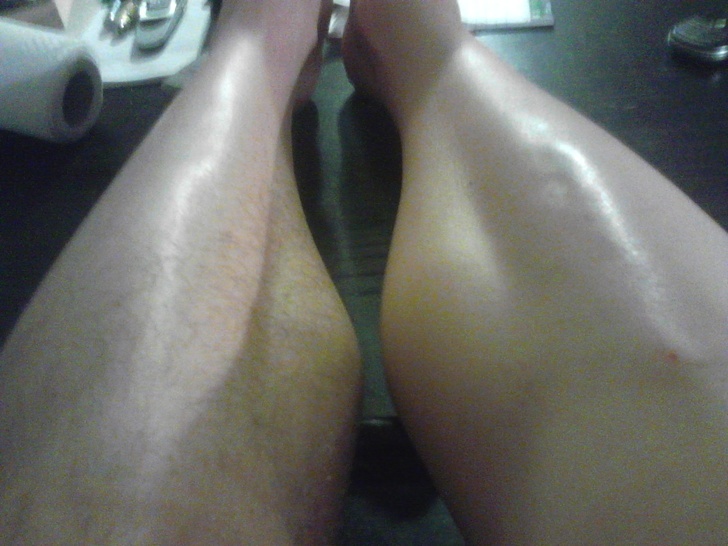 His daughter asked him when he would teach her how to shave her legs. 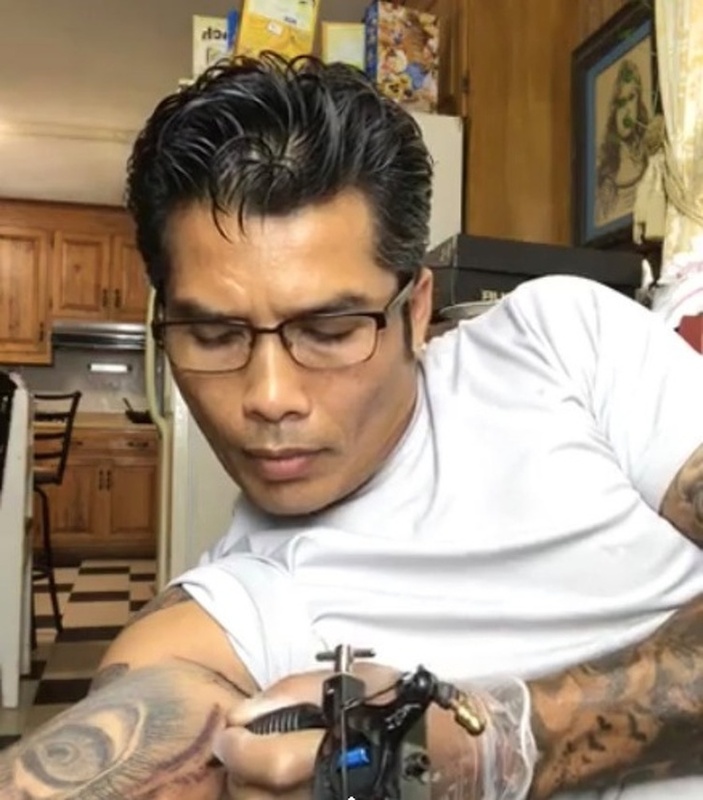 Therefore, this dad decided to practice on his own. 6. This could be one of the best pictures ever taken. Dads have an awesome sense of humor, especially when it comes to their daughters. We cannot get enough! 5. 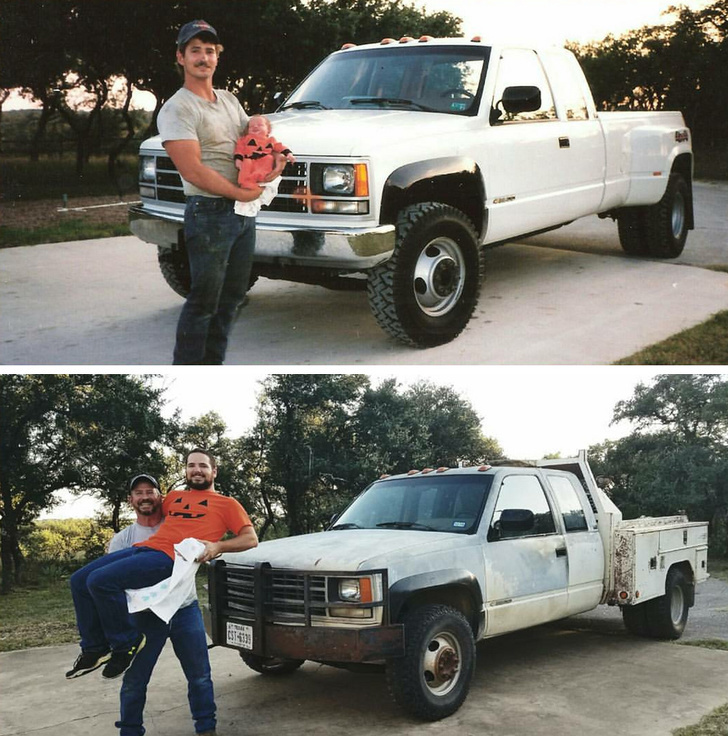 This father and son recreated the same picture they took 26 years ago. We cannot believe the dad is still that strong! 4. 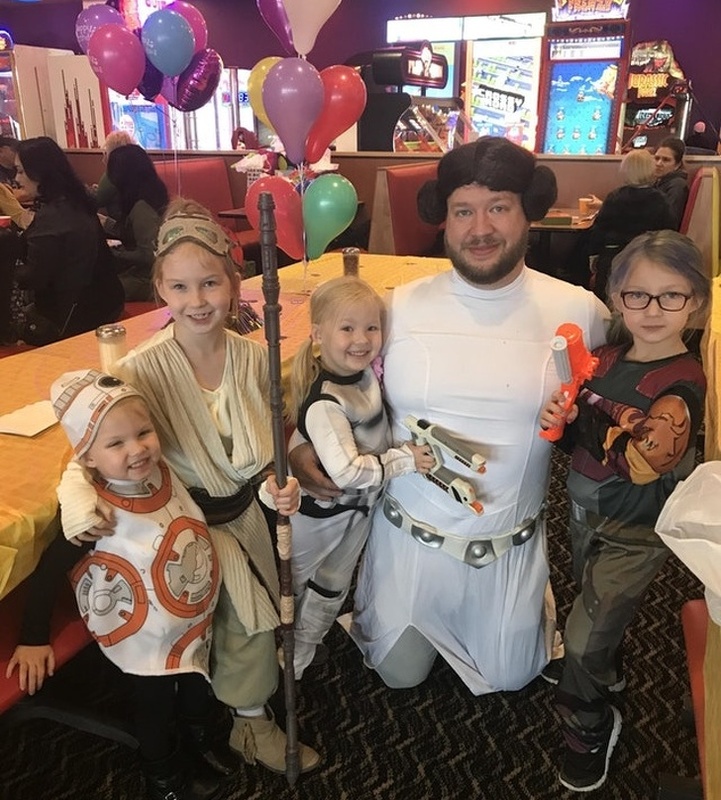 “Single dad with 4 daughters, one of which wanted a Star Wars Princess party, so you do what you got to do.” Any parent that raises his kids to like 'Star Wars' is a good one. 3. Meanwhile, this dad is showing his daughter the wonders of Marvel. 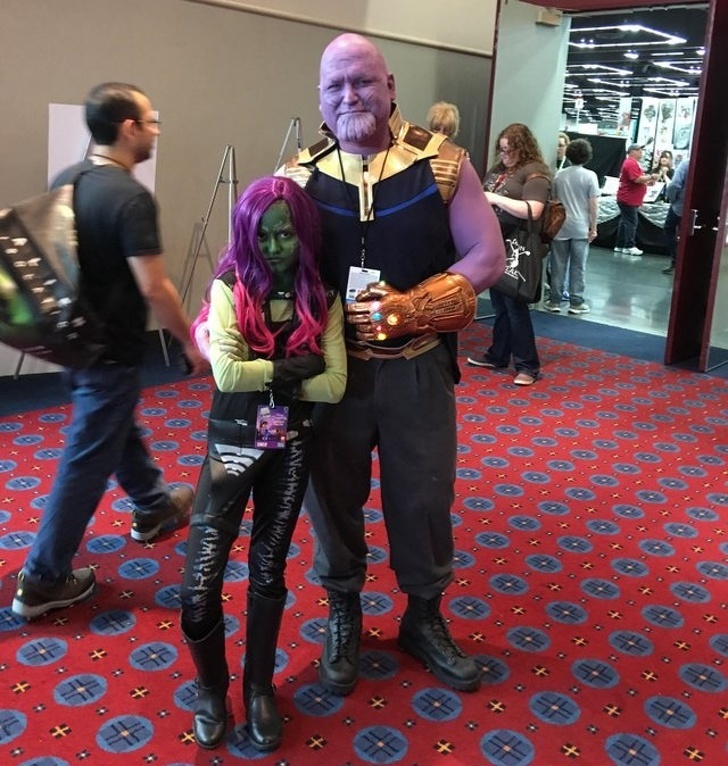 It is fantastic that his girl frowned just like Gamora would next to Thanos. 2. 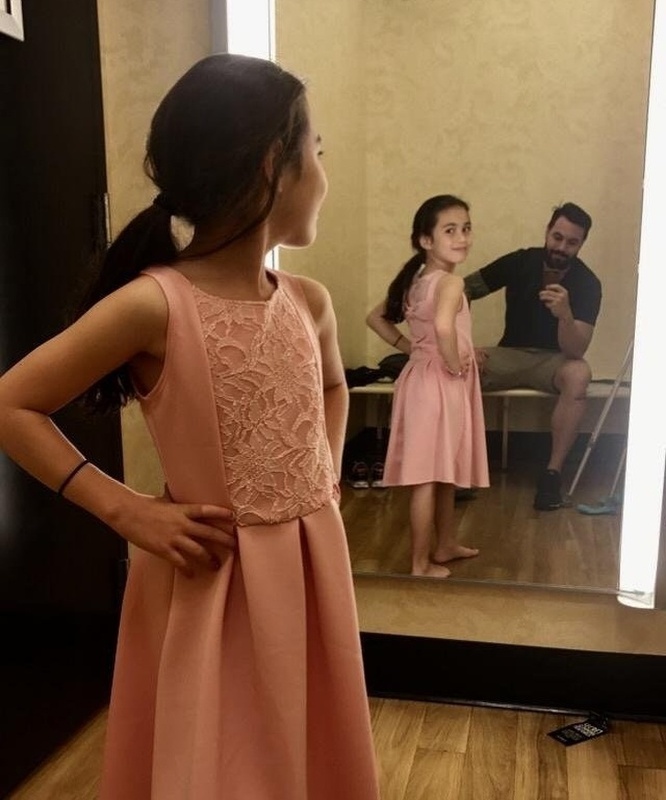 This single got to take his daughter dress shopping, which is not something that most men experience with their girls. 1. Finally, this dad is getting his daughter for the day. There will be no weird hair in these ladies. Parenting is hard, but you have to make it fun! There is nothing more precious than this bond, and everyone should run and thank their parents for everything. Let us know if your dad ever did anything as this images show. If you liked this article, share it with all your friends who love their dads. See you next time! The spookiest night of the year is right around the corner, and if you still have no clue of how you are going to dress up, you will find some very good ideas here. In this article, you will see great costumes.